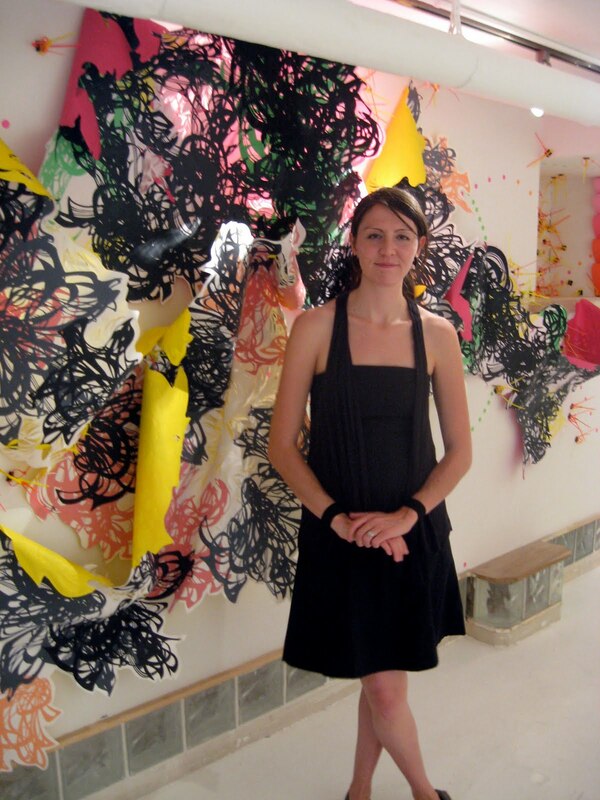 Crystal Wagner in front of her print/drawing/collage installation at Famous Accountants. 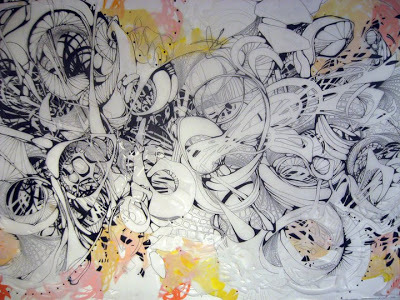 Crystal Wagner, “Mechanism (detail),” 2010, a drawing and collage. 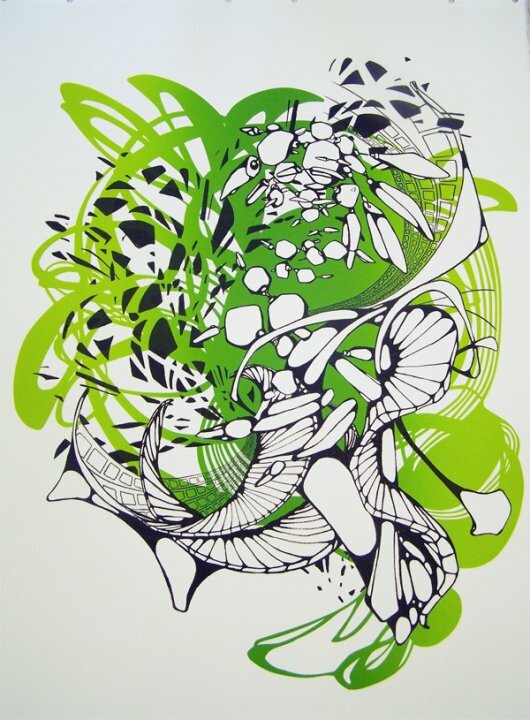 Crystal Wagner, “Morphotic II,” 2010, screen print. 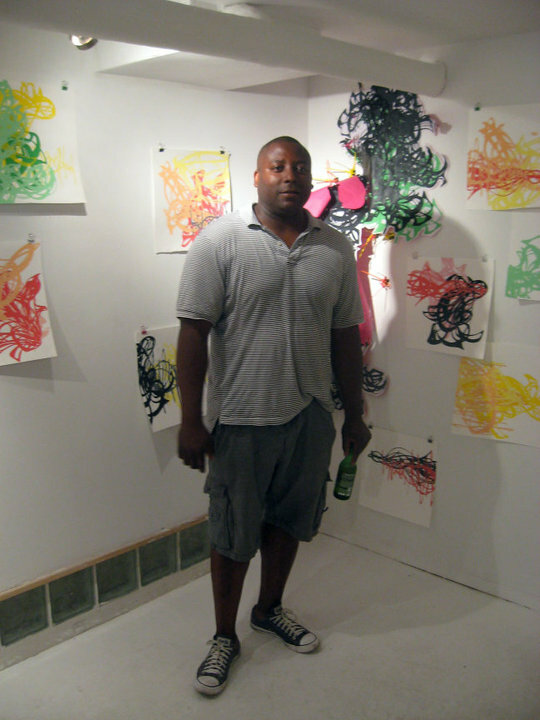 Rico Gatson in front of Wagner’s wall of screen prints. 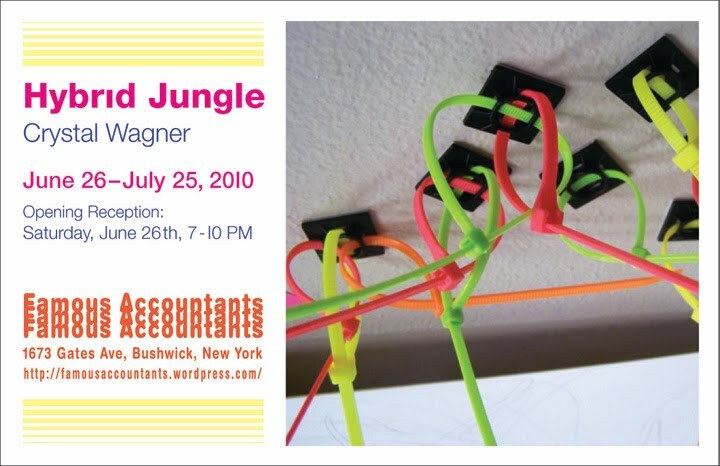 “Hybrid Jungle: Crystal Wagner,” Famous Accountants, 1673 Gates Avenue, Bushwick, Brooklyn. Through July 25, 2010. 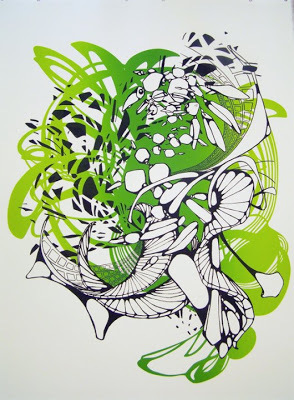 Open on Sundays 1-6PM, or by appointment.